As construction activities wind down, crews will be restoring damaged sections of roadways as well as the project work areas. Revegetation and all remaining work is on schedule to be complete in May 2017. 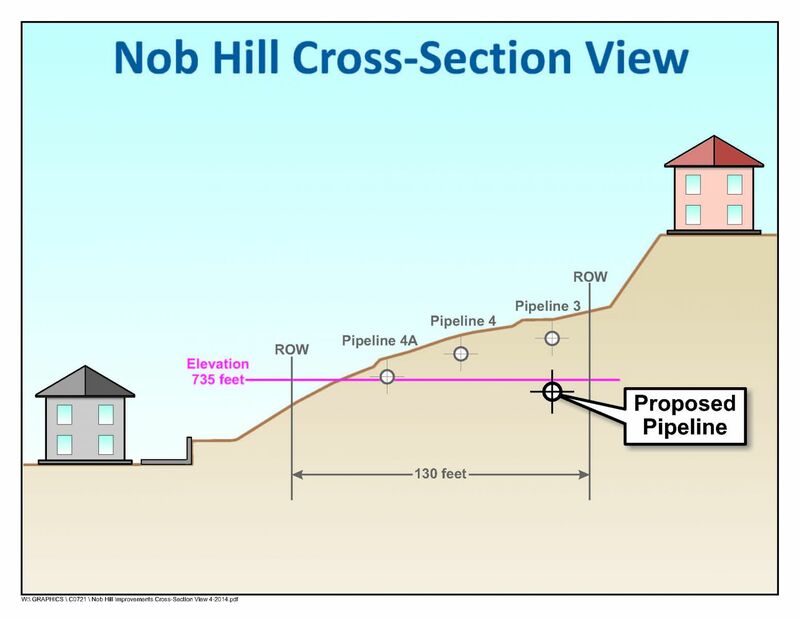 This project replaced approximately 900 feet of two sections of existing pipelines with one pipeline at a lower elevation in the Nob Hill area of Scripps Ranch. The new pipeline was constructed by tunneling and improves the Water Authority’s ability to operate and maintain its pipelines and structures, eliminating the likelihood of a future uncontrolled release of water in this area. 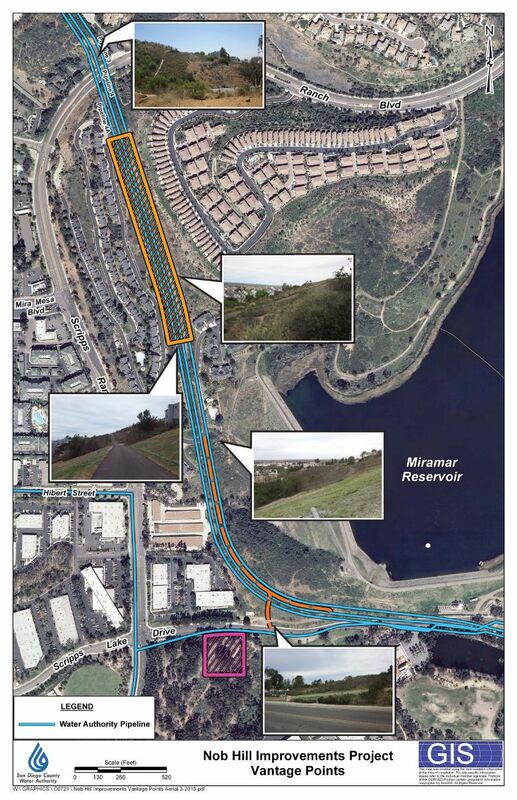 Additionally, the Water Authority constructed a new access road to Nob Hill from Scripps Lake Drive along the Water Authority’s right-of-way, west of Miramar Dam. As a result of this new access road, Water Authority vehicles will no longer need to use Scripps Nob Hill roads to access the Water Authority's facilities, a long-term benefit for the community. The tunneling method of constructing the new pipeline required the use of controlled blasting, drilling, and excavation due to the rock hardness in the area. Surrounding neighbors may have heard the blasts and felt slight tremors. Due to the closer proximity of in-service Water Authority pipelines, controlled detonation was conducted in such a way as to minimize the risk of damage to those pipelines. As a result, no damage occurred to Water Authority pipelines. The Final Environment Impact Report (EIR) was certified by the Water Authority's Board of Directors at their June 26 Board of Directors meeting. In summary, the EIR concluded there would be significant impacts associated with the environmental issues of biological resources (sensitive vegetation communities) and noise (noise standards, ground borne vibration, and temporary noise), which would be reduced to below a level of significance with the incorporation of mitigation measures. The EIR also concluded there would be significant impacts associated with noise (nighttime construction) for a limited period that cannot be fully mitigated. For more information, please call the 24-hour toll-free project information line at (877) 682-9283, ext. 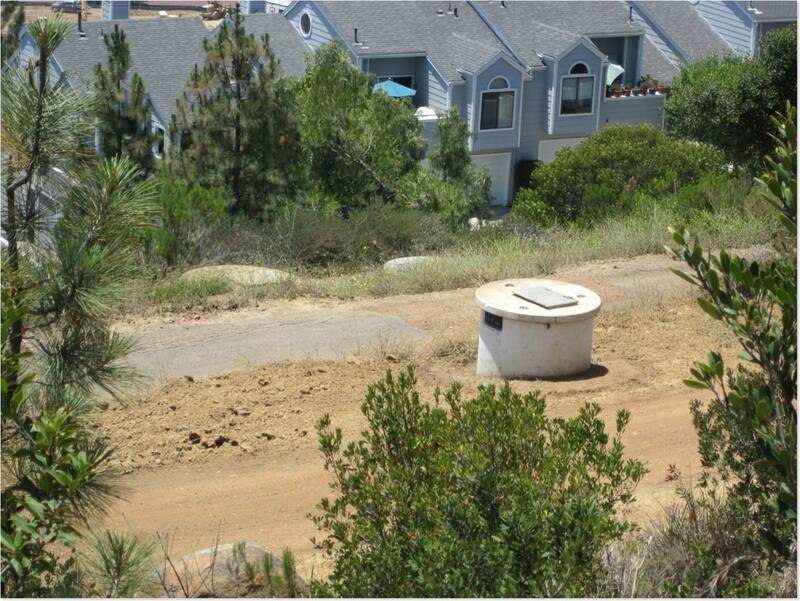 7003 or email CIPinfo@sdcwa.org. A representative from the project team will return your call within one business day.